One of the richest rewards God allows us to participate in is the act of baptism and seeing a life truly changed by the Gospel. 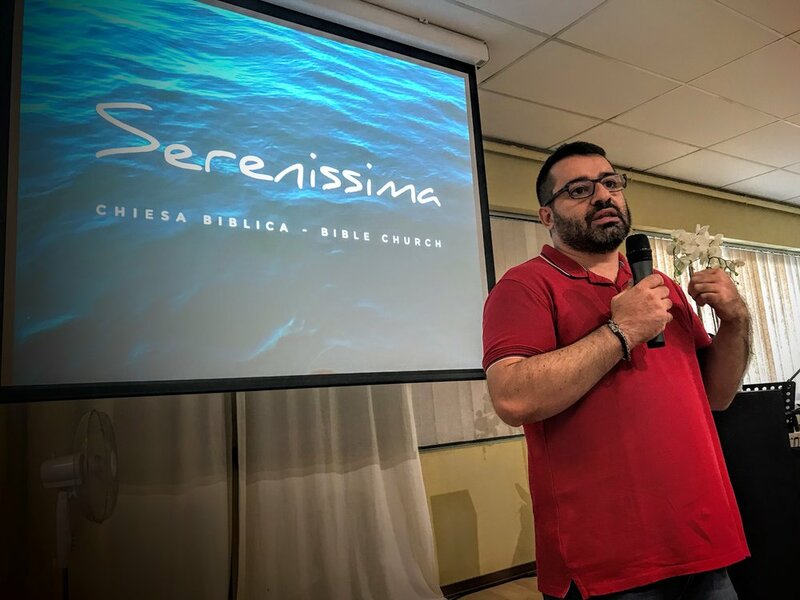 Daniele is a new Italian brother who came to faith a year ago through the faithful witness of his sister and brother-in-law who are members of Serenissima. Daniele works as an electrical technician and is also a single dad. For the past year, he has been discipled one-to-one by another brother of the Serenissima, Antonio, who is pictured with him at the baptism. July 29, 2018: Daniele is pictured here being baptized by his pastor and discipler, Antonio, on one of the hottest days of the year. When sharing his testimony in front of the church earlier that day, Daniele proclaimed he often relied upon his own success. He felt since he was making good money and had the prestige of others, he was very proud. Every time he sorted out a problem or God would take care of a problem in his life, he would turn around and give credit to himself; but his life remained a wreck. But as God got a hold of his heart, he realized how much he was taking credit, how much he needed to give over to the Lord, and how much Jesus had already done for him. He is now standing firm and sharing with others around him about the work of Christ and what God has done in his life. This story is a special praise and testimony because Daniele was cared for and brought to faith by a whole family of believers, and his baptism was witnessed by many who were seeing a baptism for the very first time. May God receive all the glory and praise! Victory: Daniele couldn't wait to be baptized. He had tears in his eyes the entire ceremony and testified to many to follow him as he is now following Christ.